I have to admit, I’m absolutely obsessed with highlighters. 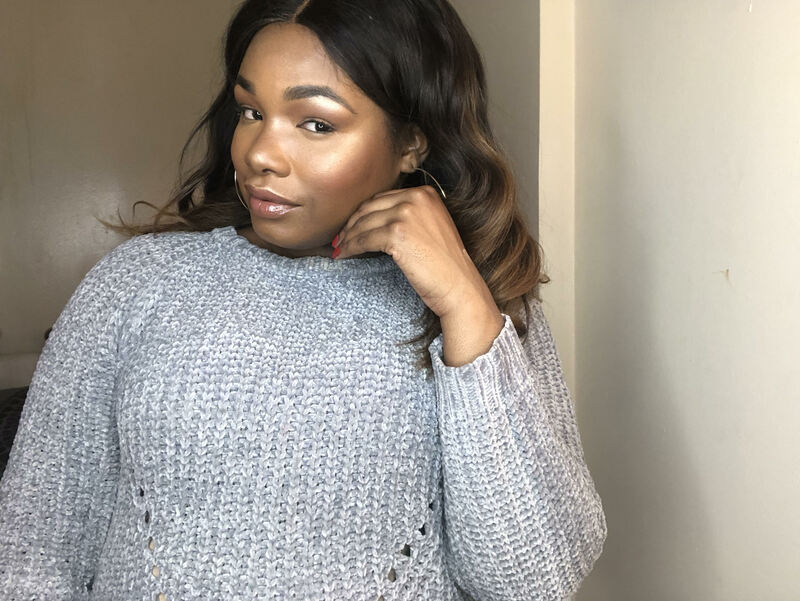 Before I even knew what a highlighter was or how to highlight my face, I often found myself browsing the aisles at my local beauty supply store and drugstore drooling over all of its shimmering essence. Naturally, I’ve collected many highlighters over the years — my collection does include luxury products but I own ~many~ drugstore highlighters. 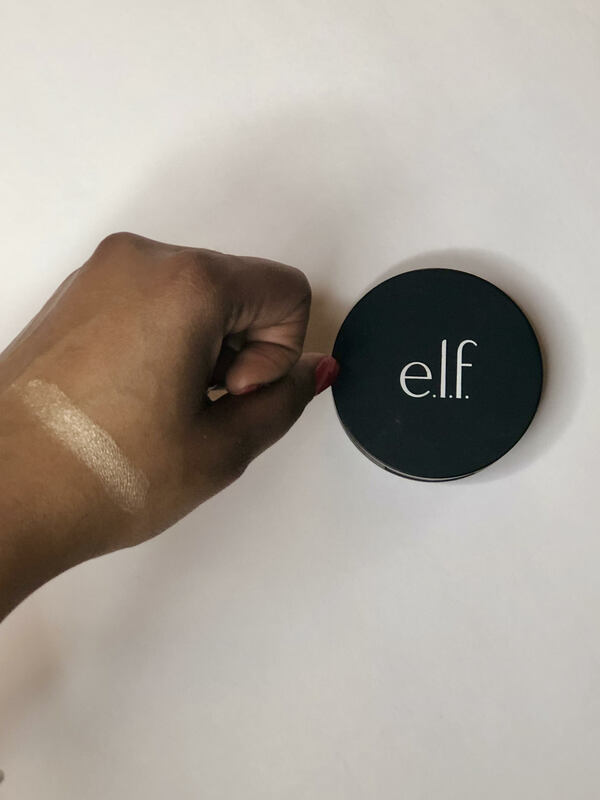 Out of all the highlighters that I’ve ever tried, though, e.l.f.’s Shimmer Highlighting Powder (formerly called the HD Highlighting Powder) beats out any competition, especially its luxury counterparts. The powder claims to give a naturally radiant photo-ready glow, and I literally couldn’t describe it any better. As you can tell, the intensity of this highlighter is definitely a 10, if we’re rating it on a scale. And the swatch photo above is from just from one swipe. 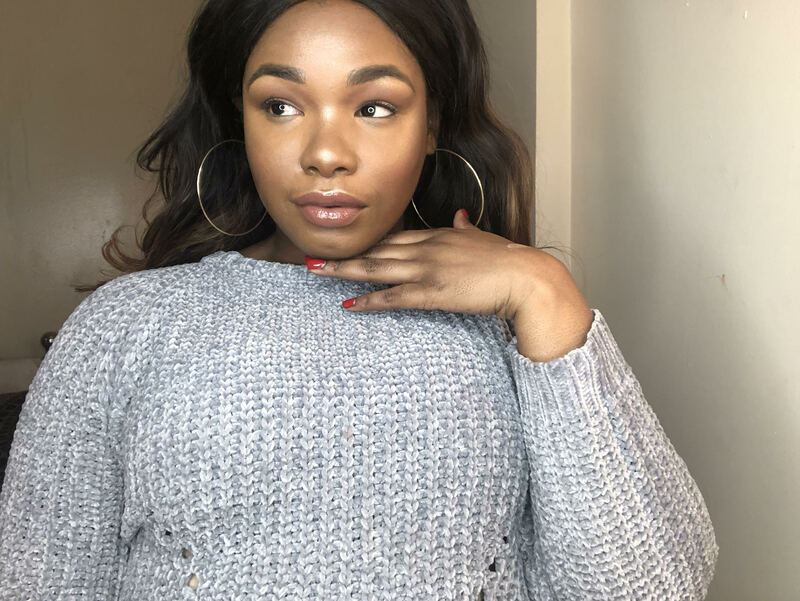 A little bit of product goes a LONG way with this one, so it’s definitely best to start with a light hand, and build it up to your desired “glow.” As for the packaging, the product comes in a sturdy compact and it doesn’t feel cheap, either. As there aren’t any problems with opening it or breaking it. The mirror inside the compact is also a nice touch, considering some high-end highlighters don’t include a mirror. 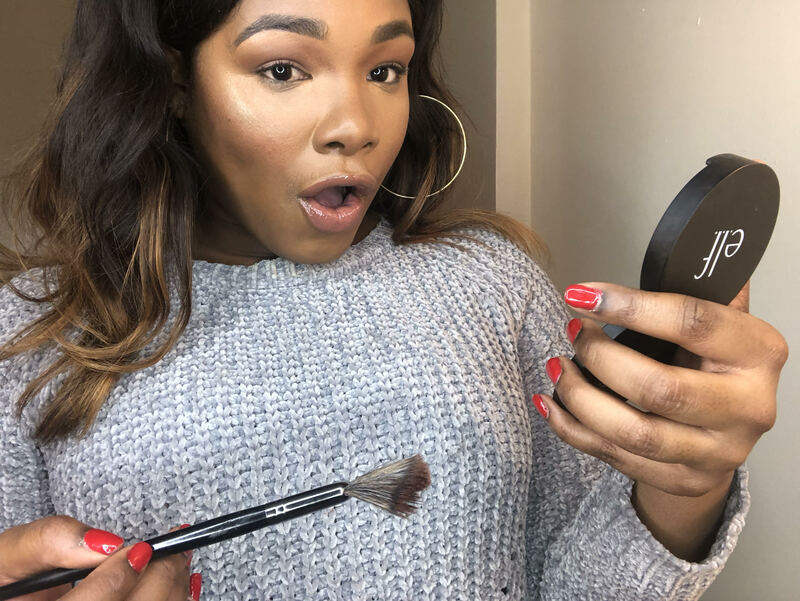 Being that the highlighting powder is $6 (! ), I was impressed that e.l.f. opted to include the mirror. Again, most luxury brands don’t include this feature. 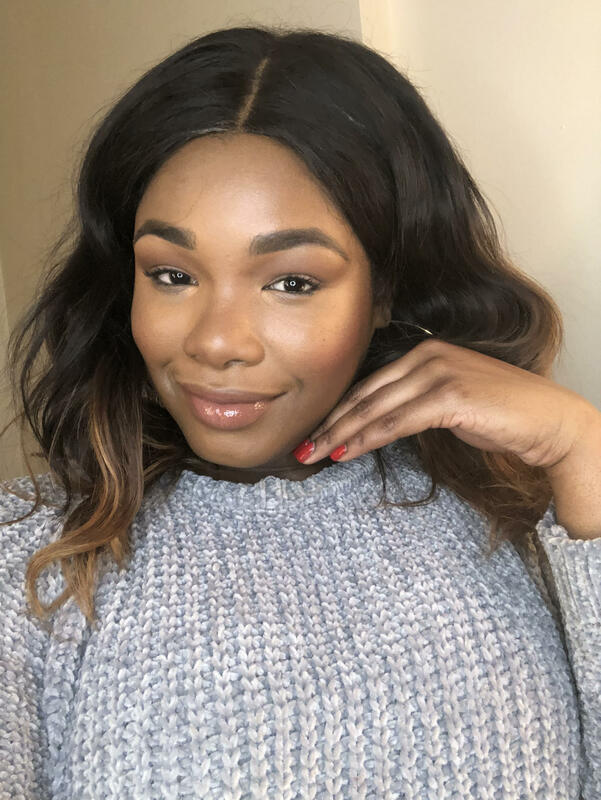 My makeup had a decent radiance with just my Kat Von D Lock-It Foundation and CoverFX’s Illuminating Setting Spray, but I wanted to take my highlight to the extreme so you can see its true glow powers. The above photo is me not taking my own advice that I gave you earlier. 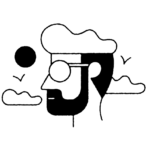 I repeat, a little product goes a LONG way. 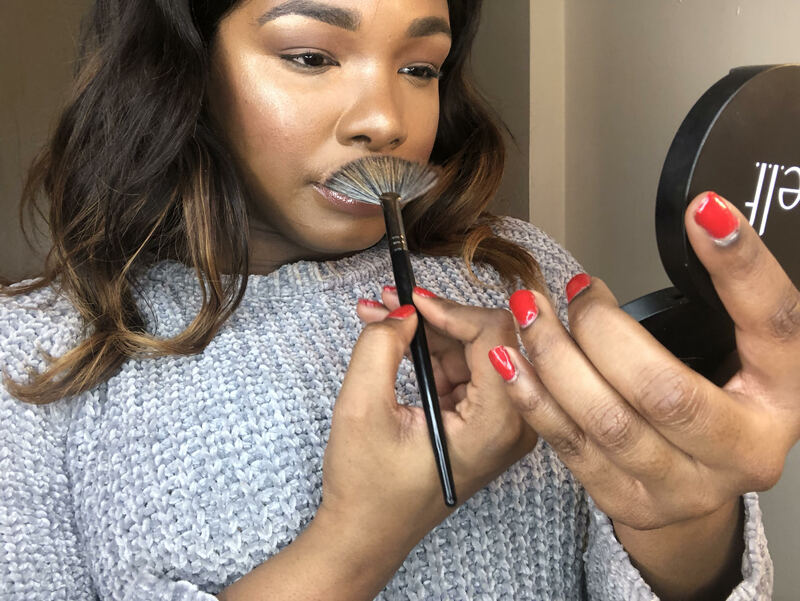 So if you want to have a lit-from-within glow, swipe your highlighting brush into the product no more than twice and tap off the excess. While I personally don’t think there is such a thing a “too much highlighter,” we don’t want to go too crazy. I started off by applying the highlighter to my cheeks and you can already see a big difference. 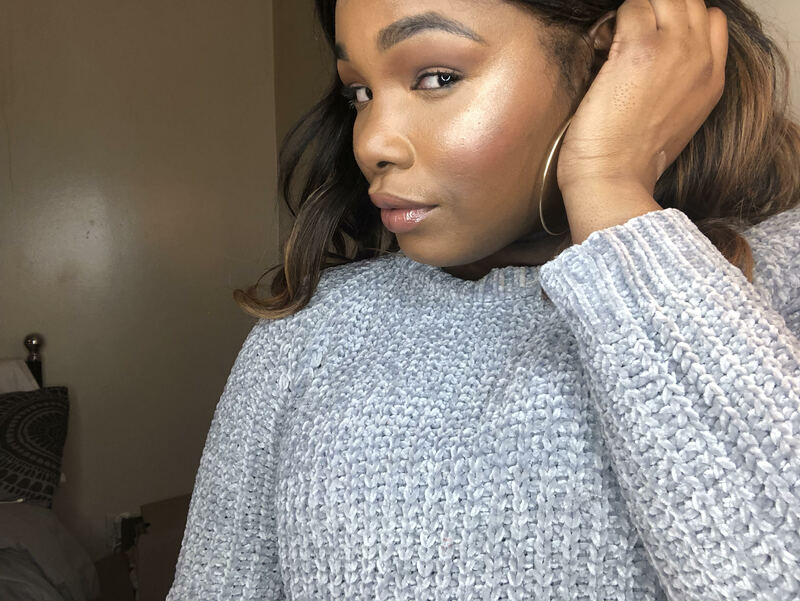 It’s more of a personal preference, but the amount of product I use to highlight my cheeks determines the intensity of highlighter I’ll use on the rest of my face. For example, if my cheeks are beaming, I’d usually tone down my nose, forehead, and cupids bow’s area. I personally don’t highlight my chin because I have oily skin and my chin tends to get greasy around there, but everyone is different. So highlight where your heart desires. As I began adding highlighter to my nose, forehead, and cupid’s bow you can see the new heights my makeup look is reaching. I feel and look like a brand new person, who is ready to take on the world with her impeccable glow. I didn’t use any filters or edits in the photos above, so the proof is absolutely in the pudding. With so much product in the compact and the fact that not a lot of product is needed because the quality and intensity are SO good, this powder is 100% worth the 6 bucks. As you can see, it gives an inner glow that picks up so well on camera without looking like it has small distracting specs of glitter in it. No matter what look I’m going for, this highlighter never fails me. 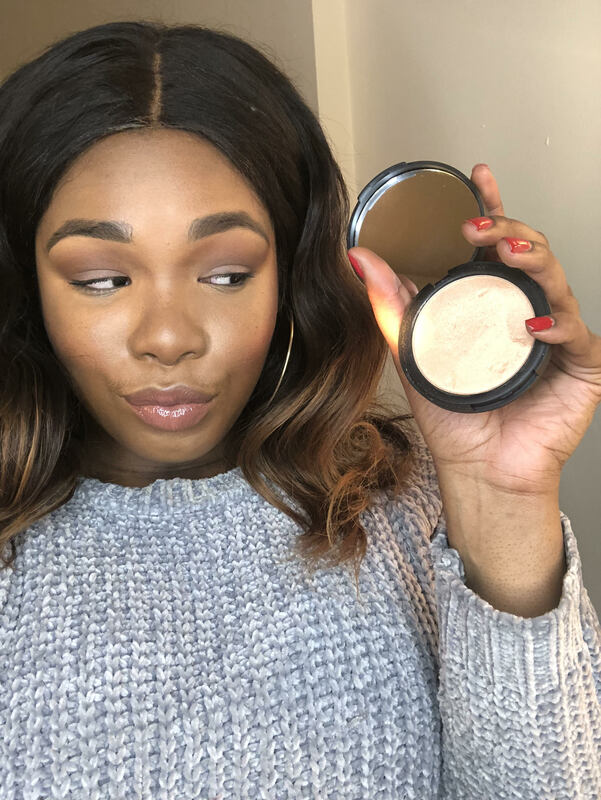 Wherever I go, this highlighting powder comes with me because it’s just that darn good! What do you think? Will you give this product a try?